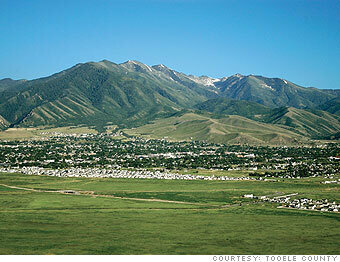 What Tooele Real Estate information did Berna Sloan post this week? Lots of new inventory, and an article on the most efficient way to search for homes for sale on the internet. No surprise that she used her own website as the model., and her own IDX as the source for finding the best homes to buy in Tooele County. The best advice she gives though is to call her at 435-840-5029 if you are thinking about buying or selling a house, a condo or a town home in Tooele UT. -Need help finding that right listing price? Want to know what your home will sell for? Call Berna 435-840-5029. There is a reason she was named Realtor of the Year in Tooele last year.